Paris’s hip hotspots shift with the seasons, but the undisputed winner at the end of 2013 was the Rue de Charonne, with each new opening cooler than the last. 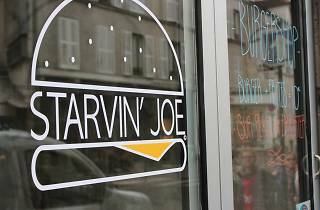 A case in point is Starvin’ Joe. 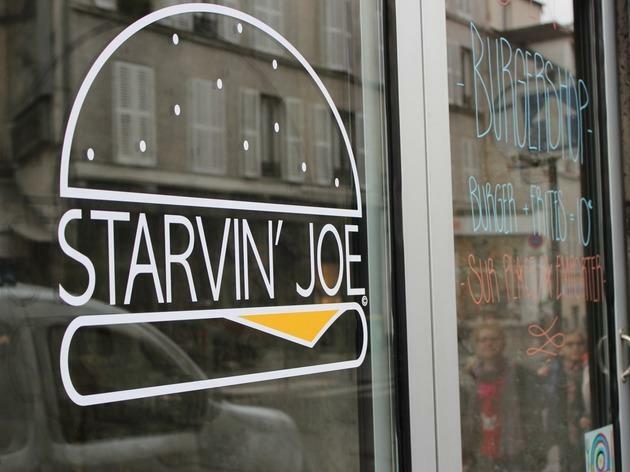 Formerly located on the Rue de la Roquette, this little canteen is dedicated to getting the perfect crunchy bacon and melting cheese in each of the dishes on the short menu: four burgers (cheddar, blue cheese, chicken or spicy) in three sizes (maxi, normal and mini). In a lightly sweetened homemade bun, onions, fresh salad and burgers made from French beef all jostle for position in a glorious soft, moreish combination that's wolfed down in a matter of minutes. It's all very generous for the pricing: €7 for a burger, €10 for a meal deal with crunchy fries (or a salad, but come on), €1 for a bacon supplement, €4 for a dessert. All you need is some Brooklyn Lager, which here is served lovely and cold.